A fishing boat heads out for a day of fun in Flower Garden Banks National Marine Sanctuary. 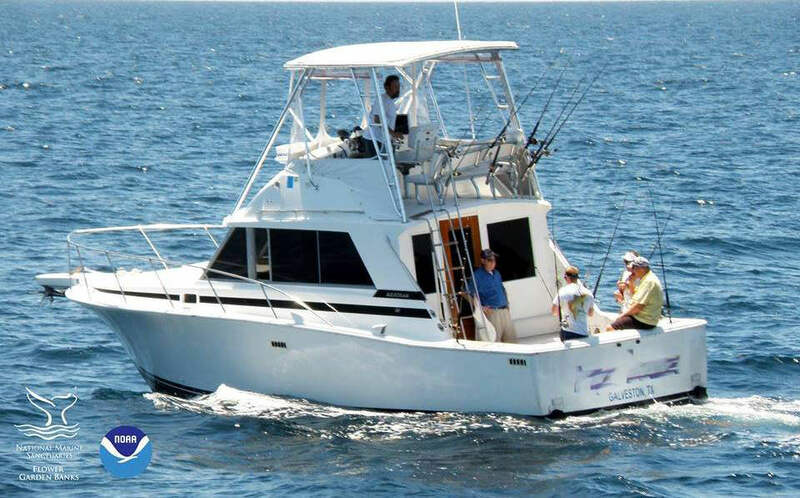 Saltwater recreational fishing is one of the most popular sports in America. More than just a favorite pastime, sustainable recreational fishing can be a contributor to conservation and a source of economic vitality to coastal cities and towns. National marine sanctuaries were created to provide citizens with opportunities to responsibly enjoy special places in the marine environment, while also safeguarding their unique beauty, diversity and historical significance for future generations. 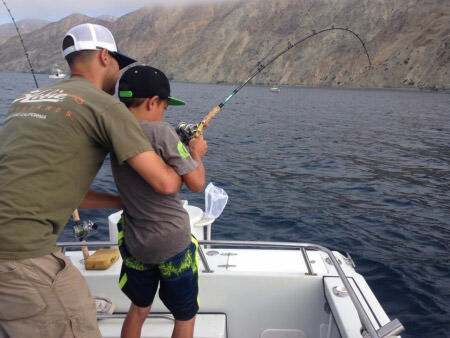 Most national marine sanctuaries provide opportunities for families to enjoy the sport of recreational saltwater fishing and foster a sense of responsibility for America's great outdoors. Recreational anglers support fishery and other marine conservation efforts by purchasing licenses and permits and paying fees levied on fishing equipment and motorboat fuel. 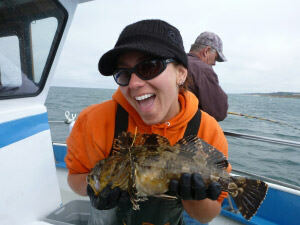 By practicing sustainable fishing techniques; advocating for better stock assessments and other fishery science; advocating for better fisheries data and science; improving fish habitat; and engaging in the marine policy process, anglers have the potential to expand their contribution to stewardship of ocean resources – including national marine sanctuaries. Across the National Marine Sanctuary System, managers rely on the expertise of a vast pool of local resource users, including recreational anglers, to inform management decisions. Many fishermen are knowledgeable about the complex workings of tides, waves, circulation and other aspects of physical oceanography that are essential for successful fishing. Anglers also learn about the biology, behavior and preferred habitats of targeted species. Sanctuary advisory councils and working groups provide advice and recommendations to managers on critical issues facing each sanctuary. Anglers have considerable incentive for protecting sanctuary resources and a stake in the outcome of these efforts. Our success depends on their involvement. With ongoing threats to marine and coastal ecosystems, ocean and coastal managers must develop creative and effective ways to educate the public and our nation's youth about marine conservation topics, while instilling within them a life-long ocean stewardship ethic. Learning to fish recreationally offers an opportunity for young people to gain knowledge about the ocean. Programs such as the Sanctuary Classic, an annual, summer-long fishing and photo contest, along with workshops designed to teach sustainable recreational fishing techniques represent an opportunity for additional collaboration between recreational anglers and the Office of National Marine Sanctuaries. Most anglers know that fishing can suffer when the marine ecosystem is compromised. That's why recreational anglers have partnered with sanctuary scientists to reduce and eliminate various threats to sanctuary resources, such as lionfish and marine debris. National marine sanctuaries routinely monitor basic indicators of ecosystem health, including habitat and water quality – a direct benefit to anglers. Long-term monitoring data provide resource managers with information necessary to identify ecosystem change over time. Without this information, managers would never know how natural and human-caused pressures affect ecosystems and if management actions achieve resource protection and improvement goals. However, while the Office of National Marine Sanctuaries generally encourages recreational fishing, there are some especially vulnerable places within sanctuaries where limits are placed on this activity. Follow the links below for more information on best practices for recreational fishing and information on how you can get involved in fisheries management. Download the Fishing Happens Here postcard. 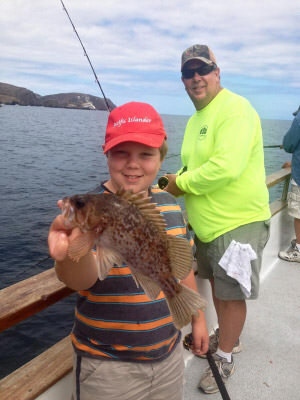 NOAA's Office of National Marine Sanctuaries and the Sportfishing Conservancy sponsor the Sanctuary Classic, an annual summer-long fishing and photo contest to encourage families and youth to experience America's great outdoors. The free event is held at all national marine sanctuaries. Participants receive information on the sanctuaries, safety, conservation and sustainable recreational fishing techniques, and are eligible for prizes from the Sportfishing Conservancy, including scholarships. Each week, judges select one photo that best represents the theme of the Sanctuary Classic (kids fishing, family fishing, etc.) to win a prize. At the end of the contest, $1,000 Guy Harvey Ocean Foundation scholarships are awarded for photos that meet additional contest criteria. As this is a photo competition, catch-and-release fishing is encouraged. For additional information: www.sanctuaryclassic.org. Catch These in Your Sanctuaries! We listened when you told us that in order to fish in a national marine sanctuary, you needed to carry a regulations book along with your bait and tackle. Learn about the FishAlerts! mobile app – a one-stop-shop for all your sanctuary fishing-related questions.